For untold years, the perfectly preserved mummy had lain forgotten in the dusty basement of Boston’s Crispin Museum. Now its sudden rediscovery by museum staff is both a major coup and an attention-grabbing mystery. Dubbed “Madam X,” the mummy–to all appearances, an ancient Egyptian artifact– seems a ghoulish godsend for the financially struggling institution. But medical examiner Maura Isles soon discovers a macabre message hidden within the corpse–horrifying proof that this “centuries-old” relic is instead a modern-day murder victim. To Maura and Boston homicide detective Jane Rizzoli, the forensic evidence is unmistakable, its implications terrifying. And when the grisly remains of yet another woman are found in the hidden recesses of the museum, it becomes chillingly clear that a maniac is at large–and is now taunting them. Archaeologist Josephine Pulcillo’s blood runs cold when the killer’s cryptic missives are discovered, and her darkest dread becomes real when the carefully preserved corpse of yet a third victim is left in her car like a gruesome offering–or perhaps a ghastly promise of what’s to come. 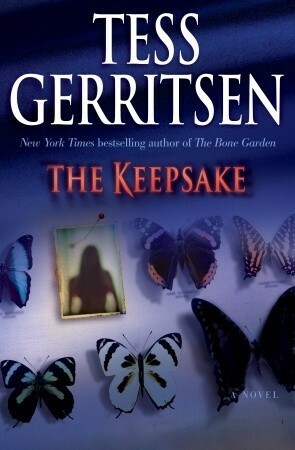 Of all the books in the Rizzoli and Isles series that I have listened to this year, The Keepsake is one of my favorites. I loved how a museum, a place where many people wouldn’t necessarily choose to visit (unless you are a history dork like me!) as an option when visiting a new city. And yet, Ms Gerritsen wrote this book in a way that I hope will cause more people to choose to visit them. And added to that, there was the egyptology twist with mummies and artifacts. The various dead methods that the author choose to incorporate into the plot with the Archeology killer were particularly gruesome and unique from all the other books in the series. After finishing this book, I wanted to pick up a book about egyptian burial methods to read up on my history. To me, that is a sign of a good book, when I want to find a non-fiction book about something that was featured in a fiction book. After listening to most of the books in the series so far, and playing the musical narrators for most of the books (I think Deidre Lovejoy is the 5th different one maybe), I have come to appreciate the different narration skills out there. For me, this was a solid performance. I can’t say that it completely blew me away, but I rather enjoyed it and it made my commute go a lot quicker for the 4 and a half days that it took me to complete it. I downloaded this from my library via the overdrive app, so I have no complaints about the production of it and didn’t notice any issues with the recording.